Quick summary: These five games have been designed to engage your students with Earth Hour in a fun and enjoyable way. The activities are: Animal Mask Making Guide, Illuminated Display Guide, Lantern Making Guide, Panda Face Painting Guide, Make Your Own Wind Turbine. (Note: You will need to download the game files from the website before downloading the teacher worksheet PDF). Australian Curriculum content description: This lesson can be used with all the learning areas of the Australian Curriculum. Cool Australia’s curriculum team continually reviews and refines our resources to be in line with changes to the Australian Curriculum. Level of teacher scaffolding: Medium – assist students in activities. Animal masks – scissors, glue or sticky tape, markers, coloured pencils, crayons, glitter pens etc. Illuminated display – Paper bags, smart candles. Lanterns – Heavy paper or card (white or coloured), printed template (page 4), scissors,glue or sticky tape, markers, coloured pencils, crayons, glitter pens etc. Face painting – Face paint, sponge, water, mirror, bucket of water, comfy chair. Wind turbine – Scissors, a piece of recycled card/strong paper, a piece of coloured card, a stick or strong drinking straw, a drawing pin or thumbtack, glue or gluestick, a hammer (optional). Keywords: Earth Hour, games, illuminated display, lanterns, face painting, wind turbine. Overarching learning goal: These five games have been designed to engage your students with Earth Hour in a fun and enjoyable way. The activities are: Animal Mask Making Guide, Illuminated Display Guide, Lantern Making Guide, Panda Face Painting Guide, Make Your Own Wind Turbine. Animal masks - scissors, glue or sticky tape, markers, coloured pencils, crayons, glitter pens etc. Illuminated display - Paper bags, smart candles. Lanterns - Heavy paper or card (white or coloured), printed template (page 4), scissors,glue or sticky tape, markers, coloured pencils, crayons, glitter pens etc. Face painting - Face paint, sponge, water, mirror, bucket of water, comfy chair. Wind turbine - Scissors, a piece of recycled card/strong paper, a piece of coloured card, a stick or strong drinking straw, a drawing pin or thumbtack, glue or gluestick, a hammer (optional). 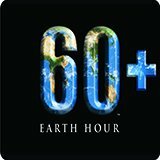 These five games have been designed for you to have some fun with Earth Hour. You can do these at school or at home with your family. The activities are: Animal Mask Making Guide, Illuminated Display Guide, Lantern Making Guide, Panda Face Painting Guide, Make Your Own Wind Turbine.